Dr. Chang is an expert in Transportation engineering at the University of Maryland where he leads the Traffic Safety and Operations Lab. He is the Principal Investigator of the Applied Technology and Traffic Analysis Program that is jointly initiated by the Office of Traffic and Safety and the Department of Civil Engineering at University of Maryland. 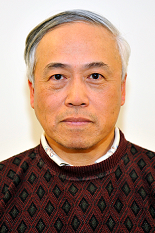 Dr. Chang is also the principal Investigator of the Traffic Monitoring System for the Ocean City Region Project. The project is to design and implement a real-time network traffic monitoring system in the Eastern shore region that includes a set of algorithms for traffic monitoring, travel time prediction, and emergency evacuation. Dr. Chang's research interests include Network Traffic Control, Freeway Traffic Management and Operations, Real-time Traffic Simulation, and Dynamic Urban Systems. 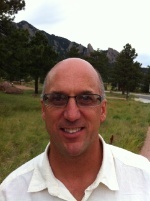 Tom Cova is Professor of Geography and Director of the Center for Natural & Technological Hazards at the University of Utah in Salt Lake City. His research and teaching interests are environmental hazards, coupled natural-human systems, transportation, sustainability, and geographic information science (GIS). His primary focus is wildfire evacuation planning, and he has published on a variety of topics in many leading hazards, transportation and GIScience journals He served as Chair of the GIS Specialty Group and Hazards, Disasters & Risks Specialty Group of the Association of American Geographers (AAG). In 2008, he was Program Chair for the International Conference of Geographic Information Science (GIScience '08) held in Park City, Utah. He teaches courses on environmental hazards, human-environmental systems, emergency management, sustainability, and GIS. 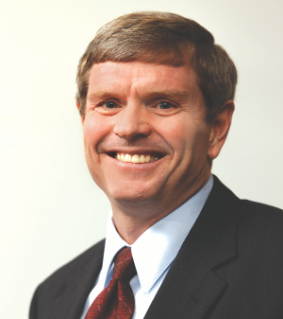 Mike Robinson is the Director of ODU's Center for Innovative Transportation Solutions. He has been at ODU since 2004. His work is focused on simulations in three areas: transportation, evacuations, and pedestrian modeling. His work incorporates decision-making and behavioral influences. 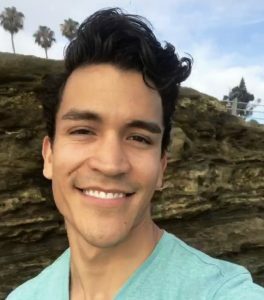 Michael Robles is a Geographic Information Systems (GIS) Analyst with the County of San Diego Office of Emergency Services (OES). He joined the dynamic team at OES in September 2015 where his primary role is implementing innovative GIS solutions to aid in emergency preparedness, response and recovery efforts. Michael maintains the County’s Emergency Map that provides emergency public information to the residents and visitors of San Diego County. Since its implementation, the web map has gathered 3.5 million views. Michael has also collaborated on many GIS projects including the development and launch of the Know Your Hazards Tool released by the County during July 2017. The interactive mapping tool offers the public the opportunity to search four major hazard types (wildfire, earthquake, flooding and tsunami) by address and it connects users with important preparedness resources and information to help mitigate their risk when disaster strikes. Michael attended the University of Arizona in Tucson, AZ earning a Bachelor of Science in Regional Development and a Master of Science in Geographic Information Systems Technology. Robert Barreras joined the County of San Diego in 2010 as an Emergency Services Coordinator for the Office of Emergency Services (OES) and has promoted to a Senior Emergency Services Coordinator. At OES he has emphasized the importance of leveraging new technologies to advance emergency preparedness, response, and recovery efforts by overseeing the transition of the San Diego County Emergency Portal to the Microsoft Azure Cloud and the development of the County’s first mobile smartphone application, SD Emergency. He serves as the OES IT Coordinator, the AlertSanDiego Mass Notification System Administrator, the region’s WebEOC Administrator, drafted the region’s Cyber Disruption Response Planning Annex, and is responsible for the Operational Area’s Emergency Operations Center. Robert serves as the OES Geographic Information System (GIS) Supervisor by overseeing a team of a GIS Robert Barreras joined the County of San Diego in 2010 as an Emergency Services Coordinator for the Office of Emergency Services (OES) and has promoted to a Senior Emergency Services Coordinator. At OES he has emphasized the importance of leveraging new technologies to advance emergency preparedness, response, and recovery efforts by overseeing the transition of the San Diego County Emergency Portal to the Microsoft Azure Cloud and the development of the County’s first mobile smartphone application, SD Emergency. He serves as the OES IT Coordinator, the AlertSanDiego Mass Notification System Administrator, the region’s WebEOC Administrator, drafted the region’s Cyber Disruption Response Planning Annex, and is responsible for the Operational Area’s Emergency Operations Center. Robert serves as the OES Geographic Information System (GIS) Supervisor by overseeing a team of a GIS Analysts and led the development of SanMAPS (San Diego Multiple Agency Public Safety), which focuses on sharing of Common Operational Data. Robert also applies his forward-thinking approach outside the technology arena, spearheading successful campaigns that utilize creative and innovative spins on more traditional community outreach initiatives and implementing first in the nation programs such as California Disaster Corps. Robert has received numerous awards for his programs including International Association of Emergency Managers (IAEM) Technology and Innovation, Center for Digital Government Best of California, Best of the Web & Digital Government Achievement, Federal Emergency Management Agency (FEMA) Individual and Community Preparedness, National Association of Counties(NACo), and California Emergency Services Association (CESA) Awards. Robert was nominated topar ticipate in the Big City Emergency Managers (BCEM) – Emerging Leaders program and has earned California Specialist Certifications in both Emergency Management and Terrorism and HomelandSecurity. Robert has served in command and general staff roles at the County’s Emergency Operations Center during multiple emergency events such as Operations Section Chief for the Border Fire (June 2016), San Diego County Wildfires (May 2014), Southwest Blackout (September 2011), San Onofre Nuclear Generating Station Alert (November 2011), and Planning Section Chief for the Diablo Canyon Power Plant Alert (June 2010). 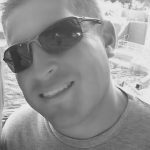 Robert graduated with Bachelor of Science in Business Administration degrees in both Marketing and Management from the University of Nevada, Reno, and earned his Master of Science in Homeland Security from San Diego State University.